Econo Lodge offers affordable rooms, specifically targeting travellers on a budget. This economy motel chain operates in the US and Canada. Each chain, which is usually conveniently located close to highways has at least 40 guest rooms. A developer from Norfolk, Virginia named Vernon Myers founded the hotel originally named Econo-Travel, with his son. They were later joined by a local businessman by the name Lloyd Tarbutton. 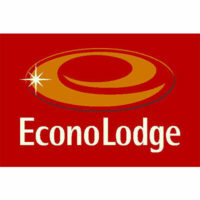 In the late 1970’s, Econo-Travel was renamed Econo Lodge. In 1983, Tarbutton and the Myers sold the 306 chains. The brand was eventually acquired by Choice Hotels International in the 90’s. Today, motel chain operates in every US state and province in Canada with over 900 chains. Employees enjoy discounts at Choice Hotel brands. They can also access retirement, medical benefits, bereavement pay, paid holiday, vacation time and sick days. New Econo Lodge motels are constantly being developed, thereby providing several employment opportunities. Because the company is known for promoting from within, career growth for current employees is likely. How Old Do you have to be to Work at Econo Lodge? Entry-level jobs are open to applicants 18 years of age and above. Corporate jobs are open to four-year degree holders and some require experience in the hospitality industry. Laundry Room Attendant – Salary of laundry room attendants is around $8 per hour. Responsibilities include washing, sorting, ironing and folding towels and linens. Laundry must meet hotel standards. This position entails bending and lifting heavy items. Maintenance Crew – Maintenance salary is around $10 per hour. All maintenance requests are handled by the crew including fixing walls, flooring and appliances in the guest rooms as well as maintaining the hotel’s exterior. Housekeeping Staff – Housekeeping position may pay up to $10 per hour. Responsibilities include cleaning the rooms, putting it back in order and restocking amenities. Front Desk Staff – Salary is around $10 an hour. The position requires strong interpersonal skills with good attitude. Responsibilities include welcoming guests, checking them in and out, handling reservations, cancellations and payments, answering calls and providing overall guest assistance. Corporate level positions at Econo Lodge include Analysts, Area Directors, Program and Project Managers. They pay by salary and are mainly available in Phoenix, Arizona and Rockville, Maryland. There is no standard application process for Econo Lodge jobs. The application method may vary from one location to another. Job openings are not posted on the website. You can find them in third party websites however. Online application may be available in third party websites. Application forms may be downloaded and printed. To land a job at a specific location, it is advisable to visit the location and inquire about the hiring policies. Fill out the application form completely and thoughtfully. The completed form must be submitted with a resume. An updated copy of resume is required. Bring an extra copy during the interview. Have it printed on quality paper. Interview for the entry level positions is usually casual. However, it is advisable to dress appropriately. At the very least, applicants are expected to wear appropriate, sensible and clean clothing. It’s also important to ask questions during the interview. The company provides a pleasant working environment. Camaraderie among co-workers is encouraged. This employer is known for providing attractive incentives to employees. Incentives include free food and hotel discounts. As part of Choice Hotels, Econo Lodge is committed to corporate responsibility. There are five pillars in their social efforts. These include volunteer work and donations through the Choice Hotels International Foundation, environment-friendly practices, fostering diversity and rehabilitating homes. In line with their commitment to social responsibility, Choice Hotels recently teamed up with the Boys & Girls Clubs of America. The first event is the rehabilitation of Boys & Girls Clubs’ Virginia G. Piper branch. There were over 75 volunteers in the event including employees.